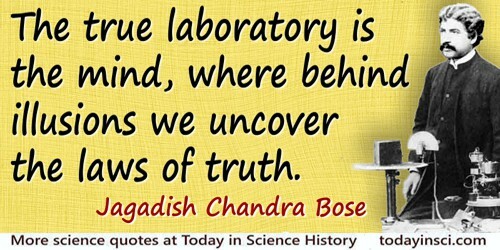 Indian physicist and plant physiologist who invented highly sensitive instruments for the detection of minute responses by living organisms to external stimuli. He also investigated very short radio waves, wireless telegraphy, and radiation-induced fatigue in inorganic materials. 30 Nov - short biography, births, deaths and events on date of Bose's birth.